Sinus headaches can cause pain, congestion, and pressure in your head around your eyes, forehead, and cheeks. If the headaches become chronic, it can really get you down— literally, your head can feel like a million pounds. But there is hope, acupuncture is very effective to treat sinus headaches. How does Acupuncture relieve Sinus Headaches? Acupuncture works by correcting imbalances in the body. Health problems develop because the nature state of balance in the body is disrupted. Once the imbalance is corrected, the body can work to heal itself. This is like hitting a reset switch allowing the body to be healthy again. Acupuncture has a saying, “Where there is no movement, there is pain. Where is movement, there is no pain.” Pain is cause by a lack or circulation the energy, or qi. Acupuncture helps to correct this imbalance by stimulating the movement of qi, specifcally in the areas around the sinuses and head. 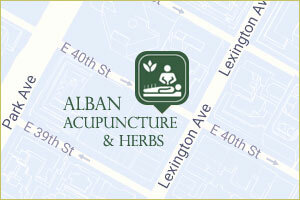 A central idea of acupuncture focuses on correcting issues with the circulation within the body. The body is connected through a network of channels that connect the body and protect you from illness. Normally, qi circulates through these channels nourishing and protecting the body. If there is too little qi or the qi does not flow properly illness can develop. When there is too little qi in the body, you may get frequent colds, have allergies, poor digestion and fatigue. Often, this leads to a feeling of fogginess and leaves you susceptible to frequent colds. Acupuncture will help to increase the qi in the body to prevent the colds and allergies. For some people, dampness or heat may also be a factor in the sinus headache. In acupuncture, characteristics of the weather can also be pathogens that causes disease. Because sinus headaches make your head feel dull, foggy, heavy, and full, and sometimes get worse in the rainy weather, they can caused by dampness. This is a frequent complication of too little qi. But if there is an infection or more intense pain, the diagnosis may also include heat the acupuncture treatment will be very different. Traditionally, we explain that acupuncture stimulates the body to heal itself. Within recent decades, researchers are learning how acupuncture stimulates the body to heal. The acupuncture needle does not inject any medicine, nor is it coated. It is simply reprogramming the body to be healthy again. 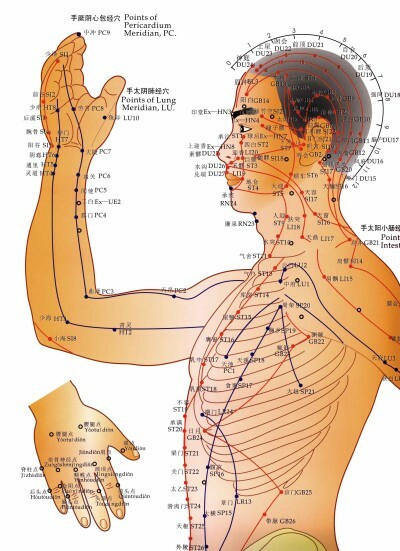 Acupuncture is known to regulate the nervous, endocrine, and the immune system. Acupuncture also works on a cellular level reduce inflammation and relieve pain. As an acupuncturist it is exciting to see how research is showing that acupuncture helps the body to heal itself. The acupuncture diagnosis and treatment is individualized to your specific symptoms such as congestion, location of pain, time of pain, itchiness, and others. An acupuncturist will also consider the entire person, not just the symptoms of the headache. Sleep, digestion, stress, and energy are all factors that may figure into the diagnosis of sinus headaches. An effective acupuncture treatment is based upon a specific and accurate diagnosis of the imbalance. In addition to the acupuncture, acupressure and herbs can be effective to treat sinus headache. The acupressure helps to create faster results and a stronger sense of relaxation. Usually people will feel relief after only a few weekly visits.